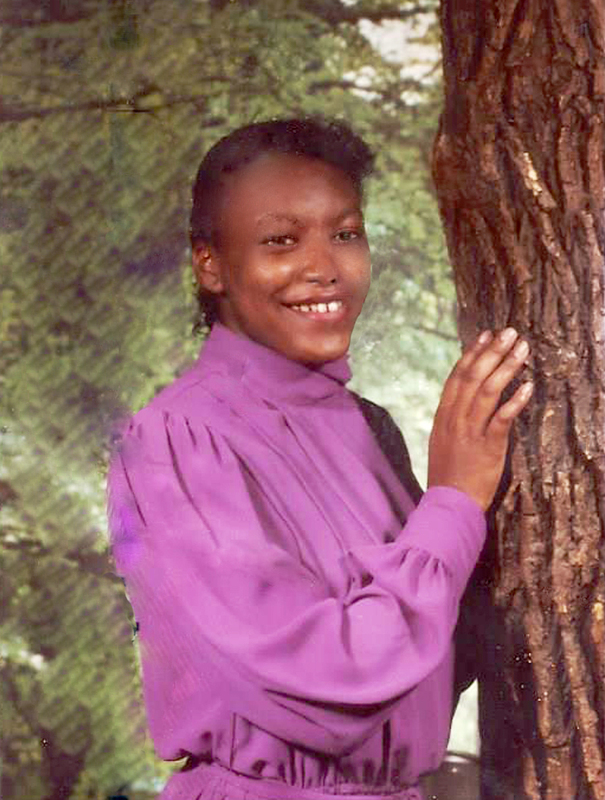 Mrs. Carol Lynn Styles-McCoy age 46 of Plains, Georgia died on Thursday, May 22, 2014 at the Phoebe-Sumter Medical Center. Funeral services will be held on Thursday, May 29, 2014 at 11:00 A.M. at St. John A.M.E. Church with Pastor Shirley Strawter officiating. Burial will follow at the Lebanon Cemetery. Ms. Carol Lynn Styles-McCoy was born in Plains, Georgia on April 9, 1968 to Rev. Arthur L. Styles and Mrs. Mildred H. Styles. She attended the public school system in Sumter County and was a 1986 graduate of Sumter County Comprehensive High School. Carol was employed for several years at Magnolia Manor and Lillian Carter Nursing Center. She was preceded in death by one son, Antonious J. McCoy, one brother, Arthur J. Styles, her grandparents: Nettie King, Charlie Styles, Eddie L. Edwards and Louis Hardy. She leaves to mourn her passing her parents: Rev. Arthur L. Styles and Mrs. Mildred H. Styles; one daughter, Ms. Aderica N. Johnson; two sons: Mr. Erik B. James and Mr. Derik D James all of Plains, GA; three sisters: Mrs. Dorothy J. (William) Moore, Ms. Angela M. Styles-Tyson and Mrs. Kristy N. (Karl) Johnson both of Plains, GA; two brothers: Mr. Johnnie F. Styles of Orlando, Florida and Mr. Kelvin B. Styles of Cocoa Beach, Florida; three aunts: Ms. Erma Jean Wade of West Palm Beach, Florida, Mrs. Leanna White both of Americus, Georgia and Mrs. Ola Mae White of Akron, Ohio; one uncle, Mr. Freddie Clark of Americus, GA; three nieces: Ms. Kiara Wallace of Plains, GA and Ms. Jakeisha and Ms. Takeisha Styles both of Cocoa Beach, Florida; four nephews: Mr. Karlon Styles, Mr. Karl Styles, Mr. Karl W. Johnson Jr. and Mr. Kaden W. Johnson all of Plains, GA; Several other relatives and friends also survive. Mr. Bural Thomas Wade, Jr.
Funeral services for Mr. Bural Thomas Wade, Jr. affectionately known as "Boy" will be held on Friday, May 23, 2014 at 11:00 A.M. at the Friendship Baptist Church with Rev. Bernard Maddox officiating. Burial will follow at the Mt. Creek A.M.E. Church Cemetery. Mr. Bural Thomas Wade Jr. was born on May 7, 1953 in Sumter County GA, the fifth of ten children born to the union of the late B T Wade and the late Lizzie Pearl Wade. At an early age he joined the Mountain Creek AME Church. He was educated in the Sumter County School System. He served in the US Army and worked diligently as a bus driver for the Sumter County School System. During the early spring morning of Monday, May 19, 2013, the Heavenly Father made a visit to the bedside of Brother Bural Thomas Wade Jr. and said Boy Wade, my good and faithful servant, let’s take a ride. You have fought a good fight. You kept the faith. Now let’s go home and rest. Bural was someone you loved to be around and he enjoyed life. He was a stranger to no one. Boy had a big heart and had a big smile. 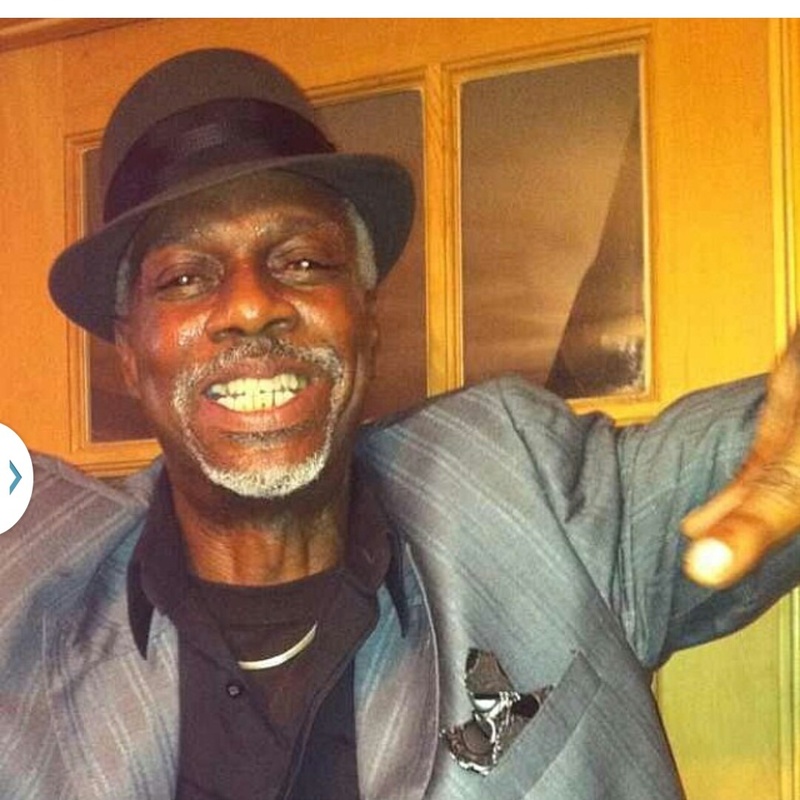 He was a very special brother, father, grandfather, uncle, and friend. Bural was a man of profound strength and courage. He was kind, gentle and had a sweet and pleasing personality. He was kind and compassionate. He was affectionately known by his family, as Boy Wade. He loved his family and his family loved him. He was not only loved by his family but also by his friends. The children loved him and wanted to be in his company. He also wanted a hug and kiss. He also had a rare sense of humor. He leaves to cherish his memories five children: NeKeisha (Keithon) Smith of Leesburg, Georgia. LaKista (Valerie) McCuller, Cameo Wade, Jeremy Lyles and Jamal (Whitney) Lyles of Americus Georgia; three stepchildren: Shaykerria Volley , Leonardo Bateman, and Bianca Little (deceased) of Americus Georgia; six grandchildren: Lakista McCuller Jr., Kelsey Cruz, De’Asia Goober, Jakobe McCuller, Keithon Smith Jr., and Myla McCuller of Americus; one great-grandchild: Lakista McCuller, III; eight sisters: Betty Dean of Orlando Florida, Sara (A.J) Mills, Earnestine (Willie) Colbert, of Andersonville Georgia, Carolyn Cooper of Leslie Georgia, Dr. Oneida (Arthur) Ingram, Amanda (Tony) Cooper of Americus Georgia, Brenda (Melville) Griffin, and April Wade of Atlanta Georgia; one brother: Earl (Annie) Wade of Americus Georgia. A host of nieces, nephews, cousins, and a countless caring and supporting friends which include a devoted caregiver Sgt. Tony Cooper; devoted friends: Queen Gibson, Edna Bateman, Harriet Little Holmes, and Tommie McCuller. Several other relatives and friends also survive. Funeral services for Mrs. Carrie Mae Bell Ross, 91 Horton Drive, Americus, Georgia will be Saturday, May 24, 2014 at 11:00 A.M. at the Friendship Baptist Church. Burial will follow at the Eastview Cemetery. Mrs. Ross died on Thursday, May 15, 2014 at Phoebe Sumter Medical Center. She is survived by three daughters: Rudine Ross Harris and Mary Louise Ross George both of Americus, Georgia and Pat Wynell Banks (Eddie) White of Miami Florida; four devoted granddaughters: Kimberly Cobb and Jade Harris both of Americus, Georgia, Carlisa Ross of Mableton, Georgia and Jasmine Harris of Norfolk, Virginia; eleven other grandchildren, 22 great grandchildren and two great great grandchildren; one great aunt Lillian Bell of Macon, GA. A host of nieces, nephews, cousins and friends also survive. Mrs. Perry Lee Johnson age 77 of Hosanna Cir. 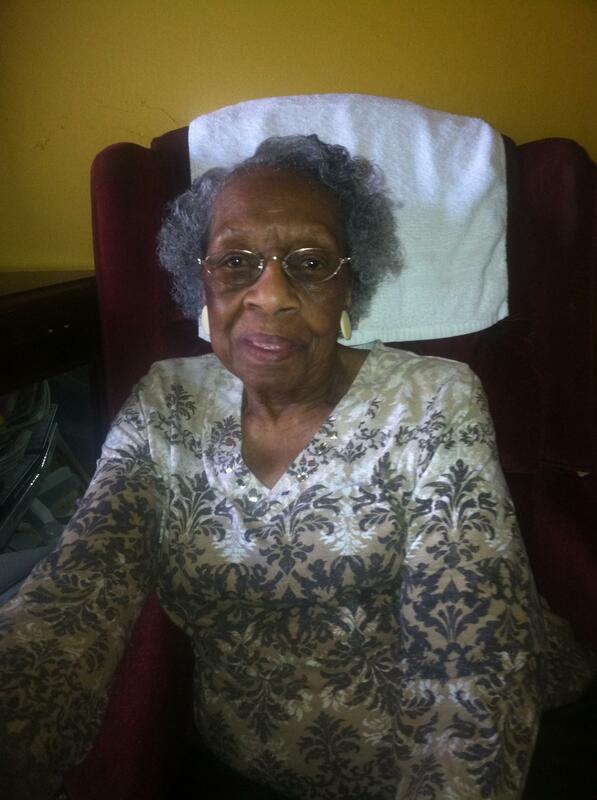 Americus, Georgia died on Wednesday, May 7, 2014 at Gentiva Hospice in Columbus, Georgia. Funeral arrangements are incomplete and will be announced later by West’s Mortuary. Mrs. Perry is survived by a son, Roger Johnson, Jr. of Warner Robins, Georgia: one granddaughter Lualhati (Gabriel) Perez of Americus, Georgia; nine great grandchildren: Leon Johnson, Rodney Burnam, Jr., Tyreisha Burnam, Najda Johnson, Anthony Johnson, Gabriela Perez, Quinn Perez, Elvida Perez and Addyson Perez all of Americus, Georgia. Several other relatives and friends also survive.